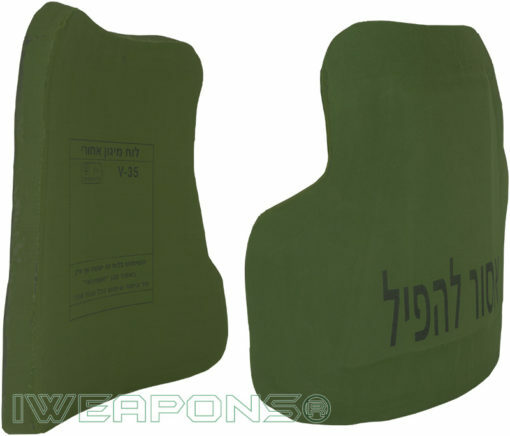 These Hashmonai armor plates have level III ballistic protection, these plates designed by the IDF for their need. 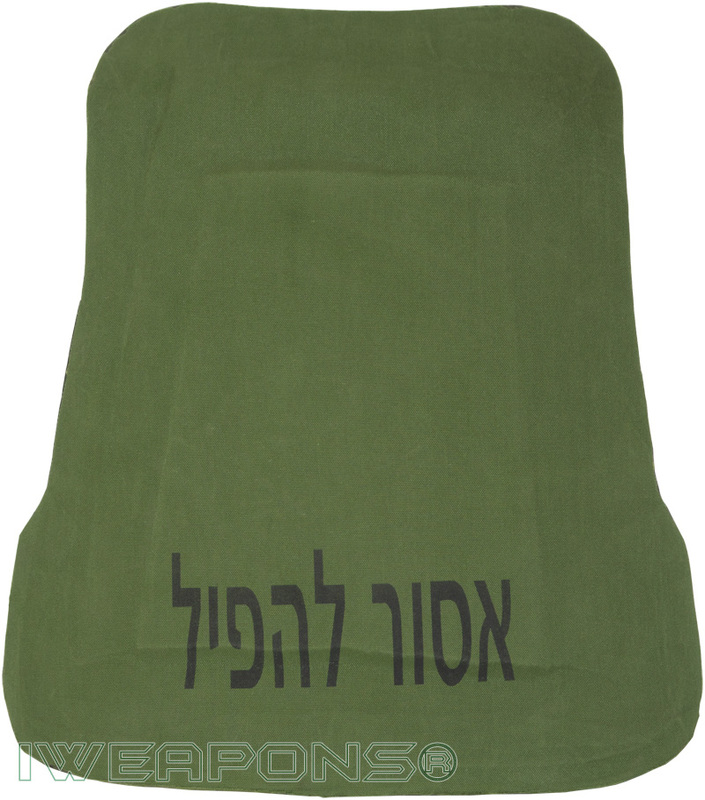 This Hashmonai back plate used with Hashmonai bulletproof vests, it is lightweight weighing only 3.5kg. It is lightweight and easy to wear while providing extremely big area of protection. Made from High-Density Polyethylene (HDPE) ballistic material, lightweight material that provide level III protection and can be used in hard armor plates. This Hashmonai back plate measures 40cm from top to bottom. 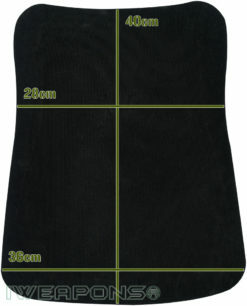 The top portion or shoulder area of this plate measures 28cm. The bottom section of the armor plate covers the stomach and other vital organs measures 36cm. This single-curve shape especially made to fit human back shape. 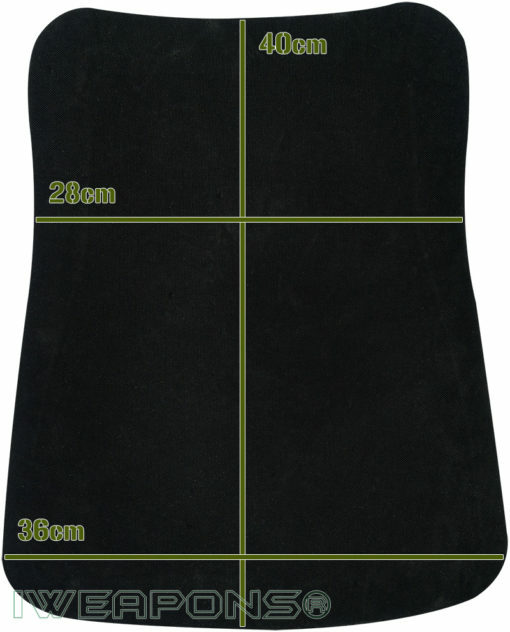 This plate is stand-alone plate, it means you can use this plate as it is, use in any bulletproof vest or plate carrier without making sure to add layer of level IIIA ballistic material between the plate and the body. 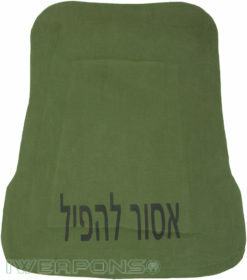 This Hashmonai back plate made from a strong ballistic material that do not brake easily as ceramic plates. The high-density polyethylene (HDPE) is durable, sturdy and helps to protect the wearer against rifle rounds. The plate cover is water resilient to protect the ballistic material inside the plate. 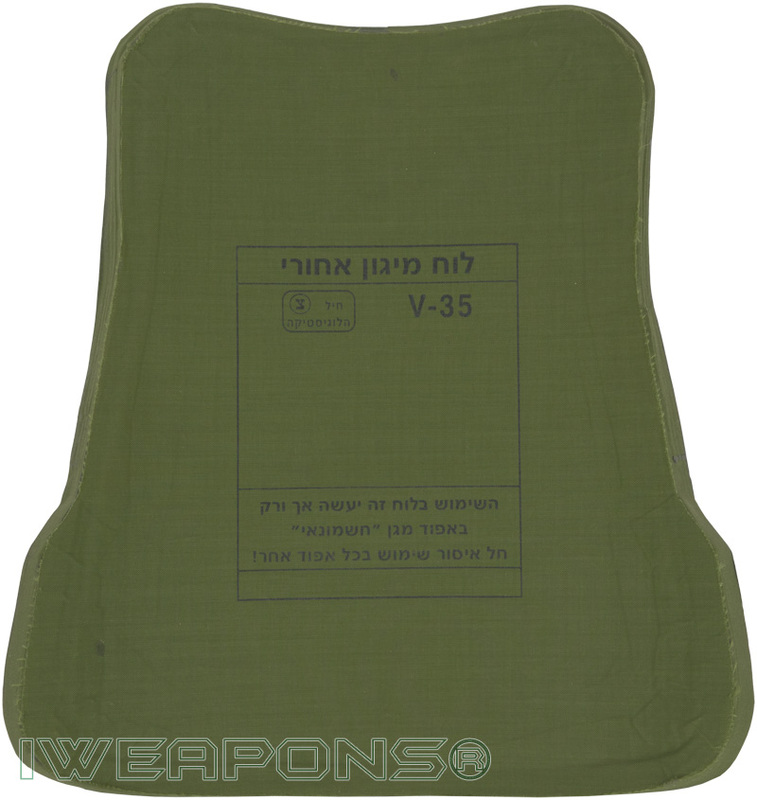 This armor plate has got your back covered. You can rest assured your back will be protected with this Hashmonai body armor plate with level III rating. When using this plate you can feel safe and secure as it was designed for the IDF needs.